Contrary to previous Nisei events I’ve attended, the 2010 show had a much greater mix of car manufactures; as opposed to being mainly dominated by Honda. The Honda’s were still aplenty though, and better than ever. The so-cal regulars were all spotted; ATS, and Phase 2 brought some amazing stuff this year. Here’s a shot of the internet-famous Phase 2 eg, which, if you ask me, seems to be re-painted every week. 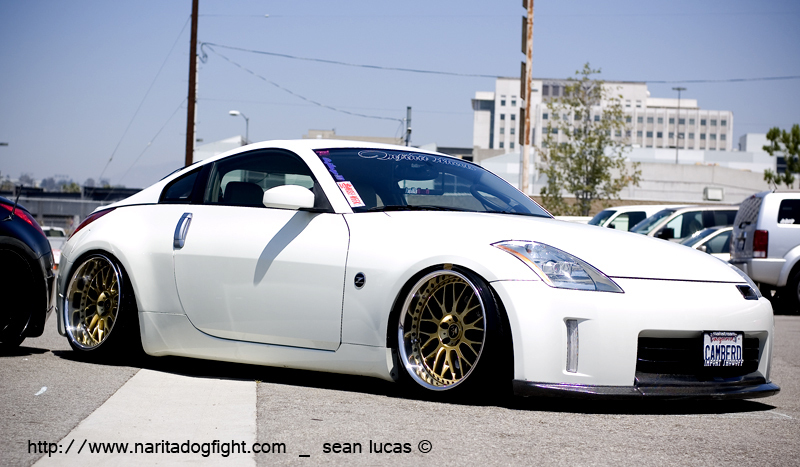 Every time I see this car in photos, or shows, the body work is absolutely flawless. 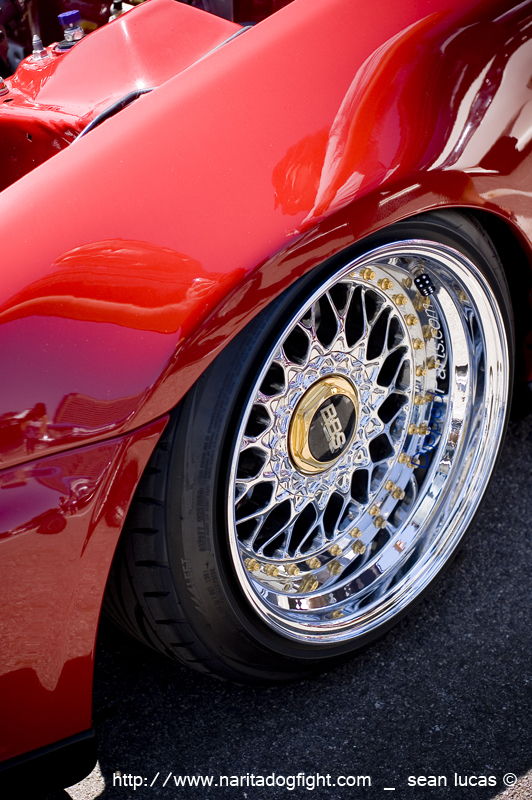 Although I’m not a fan of super poked wheels, that is the present trend, and it’s hard to beat fitment like this. Equipped with an equally clean bay that houses the clean B-series w/ ITB’s. 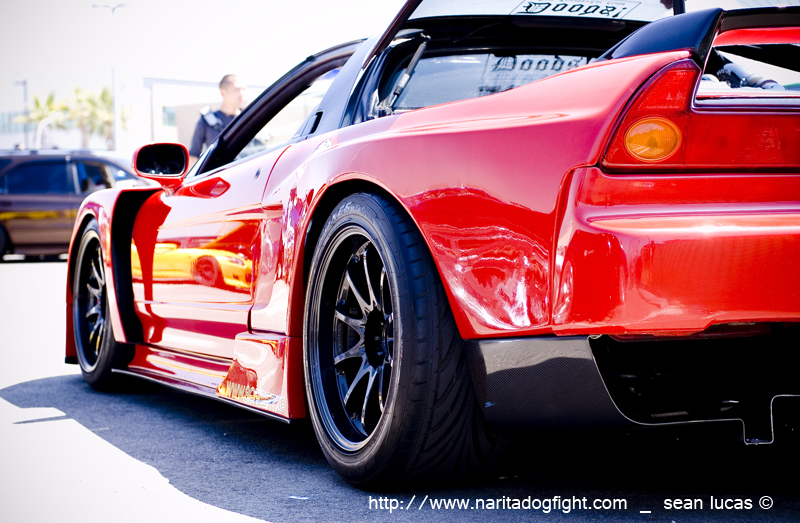 I was pretty happy to see this NSX, complete with GT style aero. I don’t think Honda will ever make a car quite like the NSX, although my fingers are crossed. 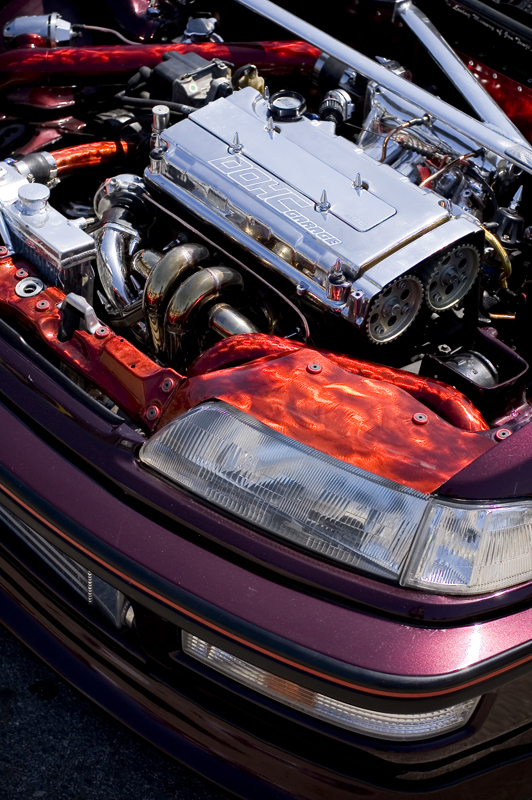 Another friend of the show, this EF was rocking some custom bay work. Looked like aluminum parts that were grazed over with a grinder and anodized in red. It looked great in the sunshine. 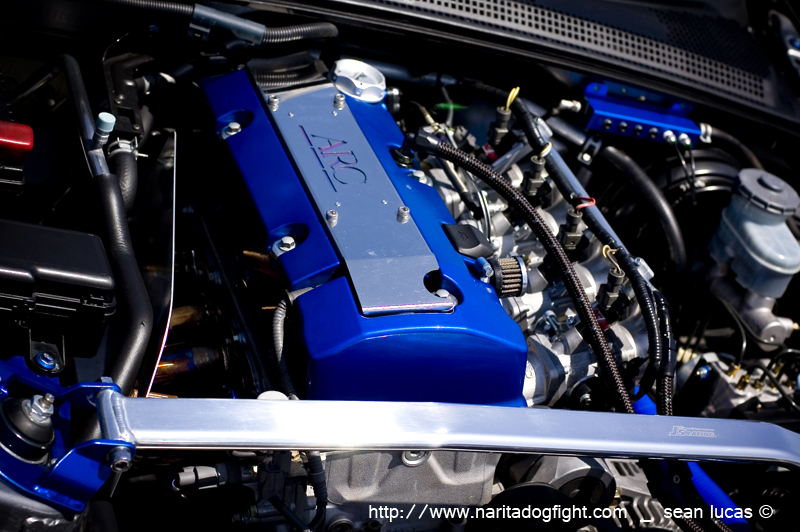 I think the engine bay that impressed me most came from this EG. Not only was the design of the turbo exhaust and waste-gate unique, but the work was quality! A very well executed idea. I wish I could have talked to the owner about it. 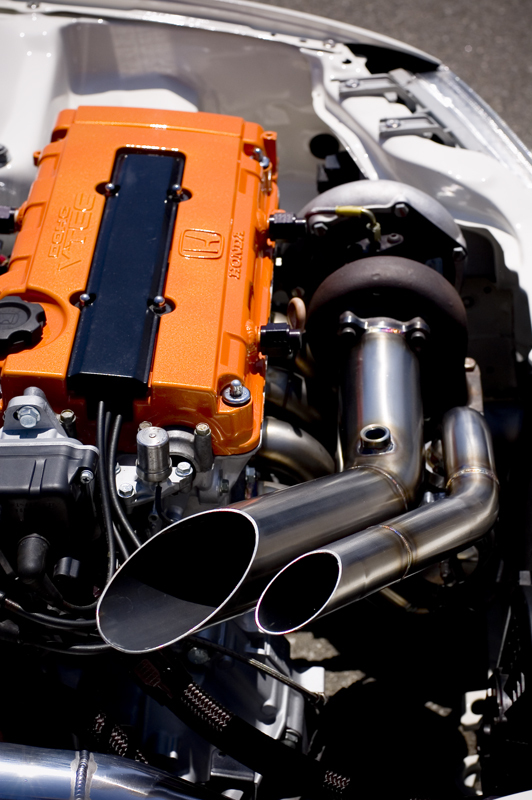 Plus, I used to rock an orange valve cover, so maybe I was a little biased. 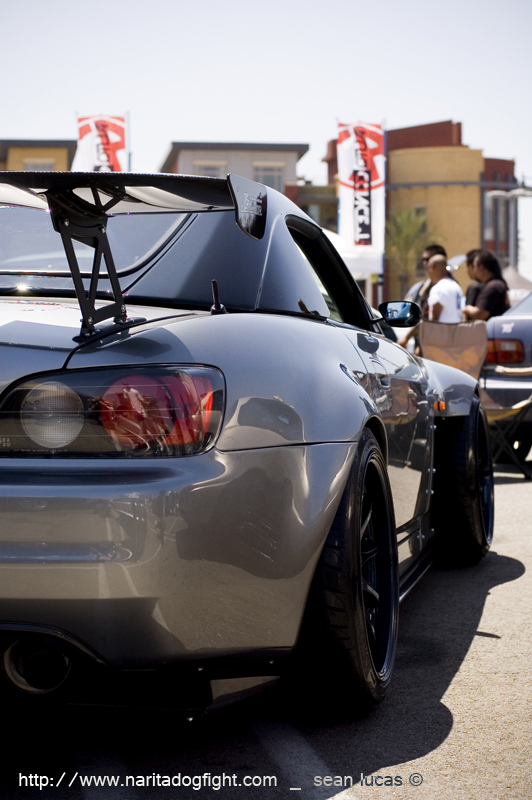 Being an S2K owner myself, I was on the lookout for well done builds, and was ecstatic to see all the S2000’s that were at the show. This one in particular caught my eye. 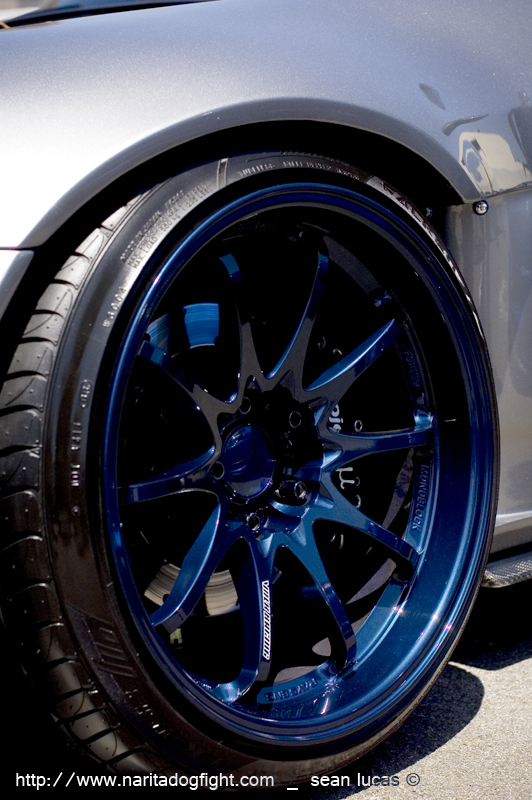 The way owner used anodized blue, and silver hardware to bolt the over-fenders on was really clean. 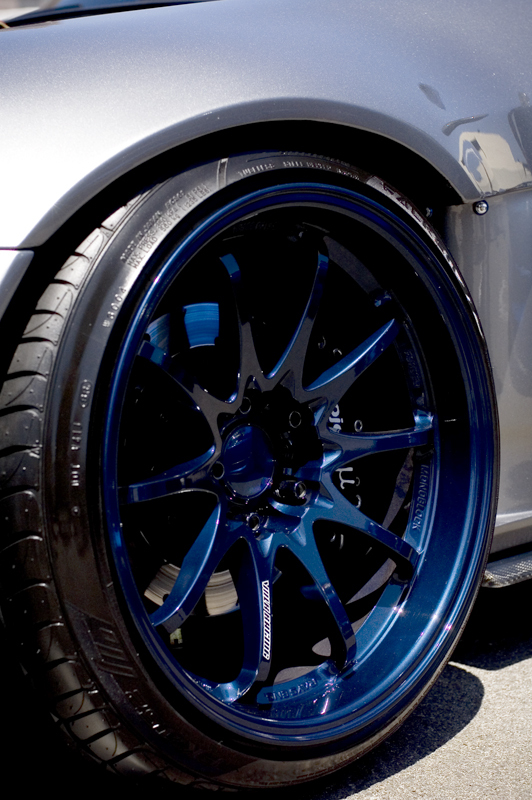 The grey paint, mag Volks, and blue accents in the bay really matched well. 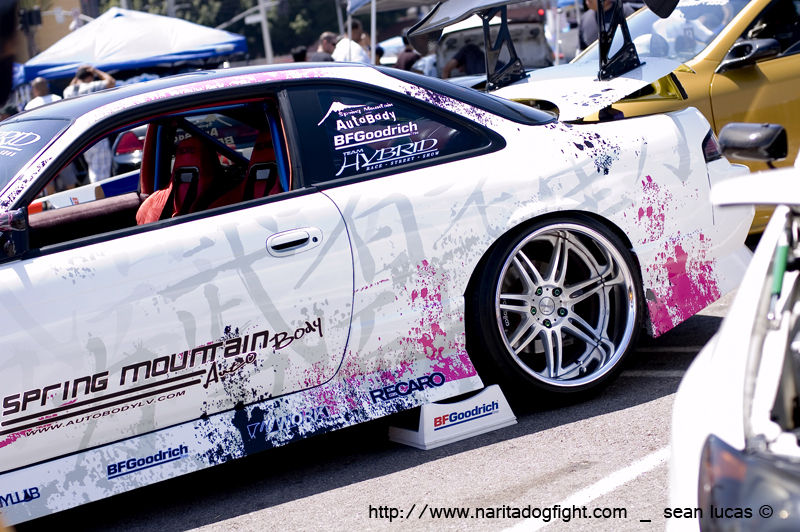 Here is another S14 that I liked. Evil looking! And the offset was absolutely perfect; not overboard at all. Just what I like to see. *Adolfo, take note! Another tip o’ the hat to the drift scene was this super clean FC. 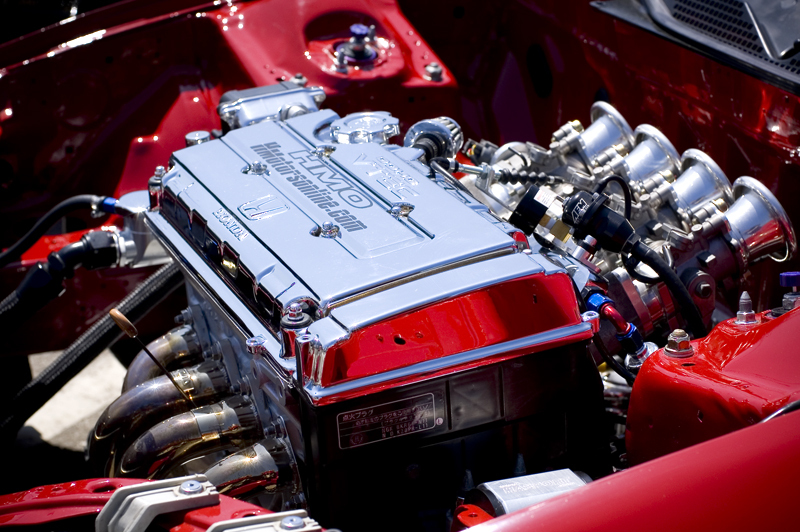 This was probably one of my favorite cars at the show, mainly because I love FC chassis’. There were quite a few 86’s there actually, but this one caught my eye right away. I’m a sucker for pandas. This thing screams Japan. Very clean build. These two Z’s were posted towards the back of the lot like soldiers guarding the entry to a fortress. Ha, not really, but they were parked pretty cool. Awfully close. I can’t imagine driving these around s0-cal. 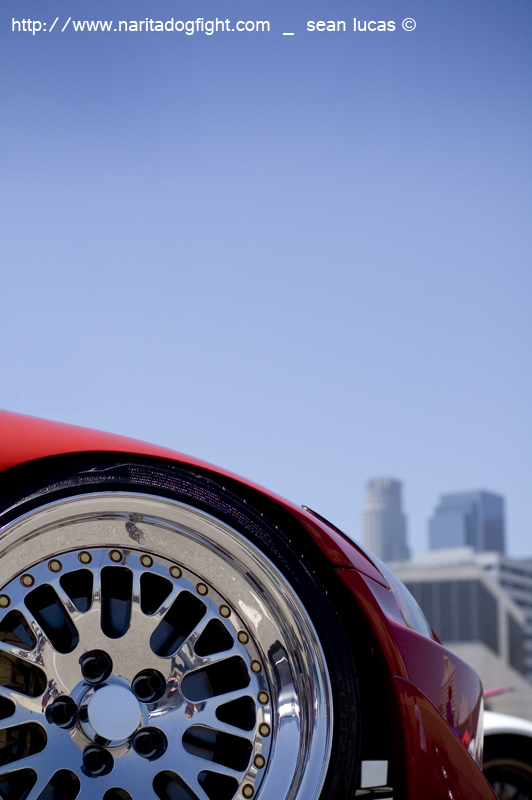 You’d be sans a front bumper if you took these on the 405. So f*cking low! 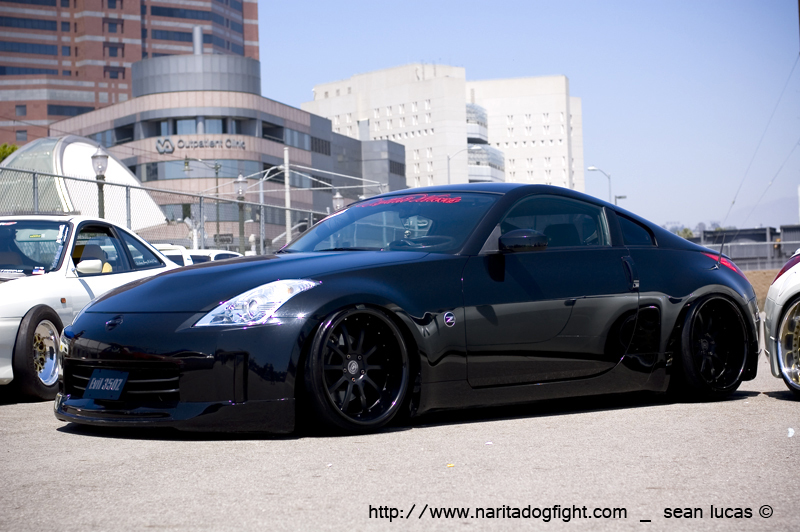 The black one was rocking DPE’s w/ a carbon lip. There was this other 350 that I noticed in the middle of the fray that was lower than those previous two. It was rocking SSR Prof’s the only way you should…with a mean lip. If you’re going for a low profile, and a low offset wheel with perfect fitment, then you had better do it right; and this guy did. I went to the show with a couple buddies from work, and one of them noticed something kind of funny, but awesome if you think about it. 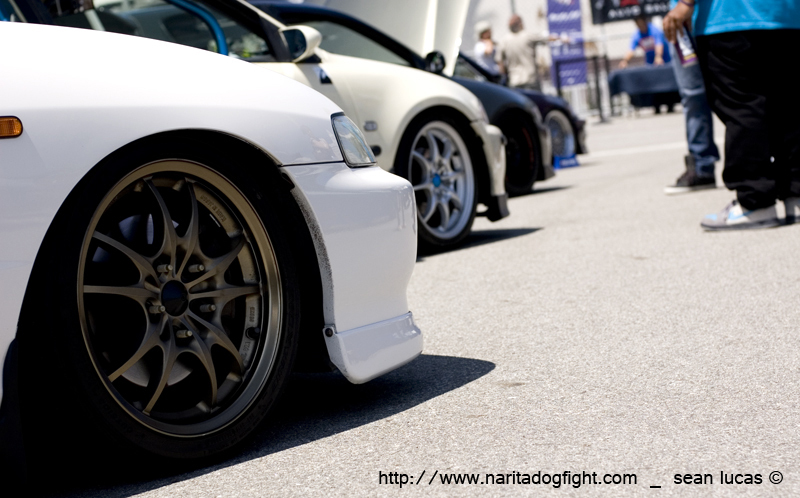 This time-attack EG used to have slotted rotors…until some intense braking I would imagine. You could vaguely make out the traces of the slots that had been worn down. These are the cars I like; the ones that get used properly! There were also a handful of BMW’s at the event. Other than that, not too many euro cars though. 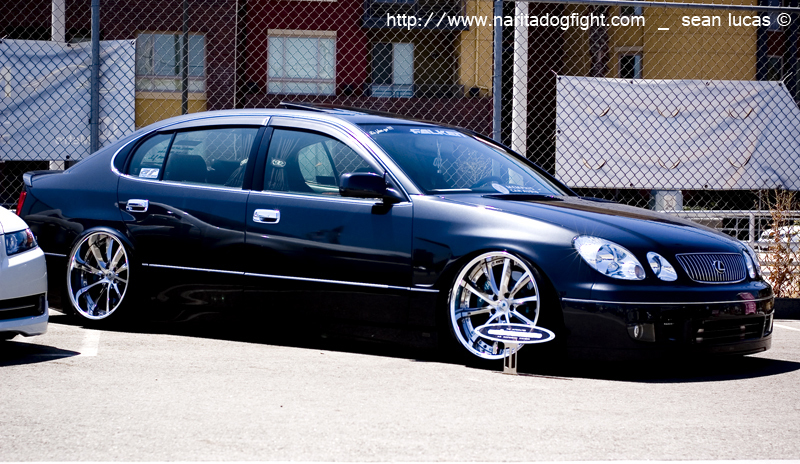 There was a really cool Volkswagon CC showing – I’ll have a pic of that in the next post. Auto Fashion had some really well put together VIP styled rides on show. I’ll have a few more pics of these on the 2nd post as well. Luxury! Hope you enjoyed Part 1 of Nisei week coverage! Stay tuned for a second gallery posting of more rides. 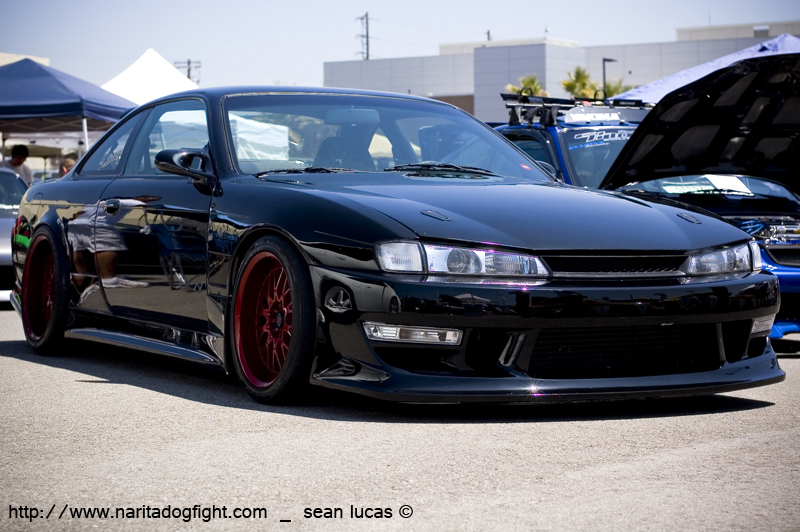 The black s14 with the red wheels belongs to me. Thanks for the compliments and picture. You got it man. Nice build!